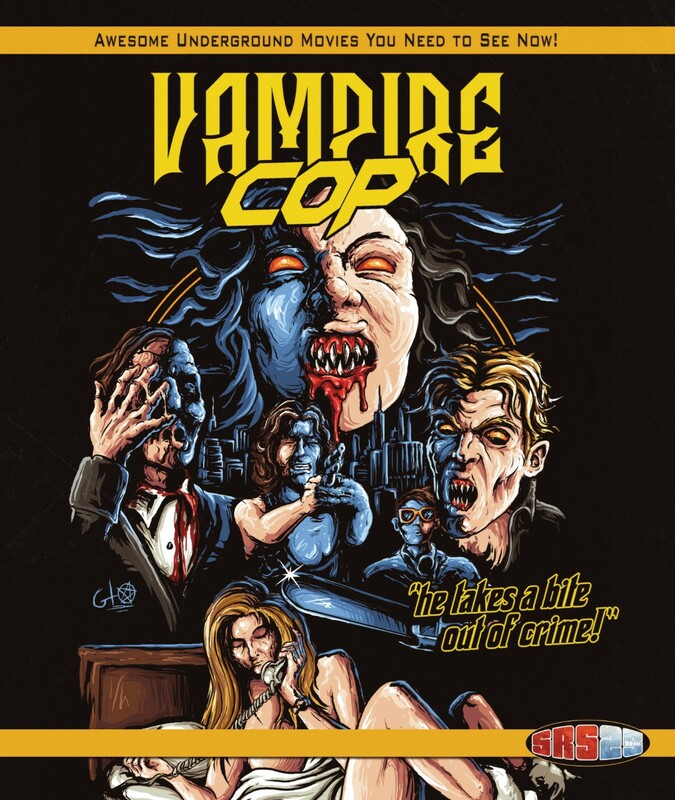 Donald Farmer’s cult classic VAMPIRE COP, has delighted b-movie fans for over two and half decades since debuting in 1990. It also marked one of the earliest appearances of popular scream queen Melissa Moore. To this day, it’s only been released on VHS – and just ONCE! Now SRS Cinema is excited to bring it back, and as an added bonus you’ll get to see the director’s original cut for the very first time anywhere – scenes that were cut by the original distributor prior to release. This original version includes scenes with Melissa Moore and BLOOD FEAST (1963) star Mal Arnold that no one has ever scene, besides extending many moments in the movie. Future Academy Award winner Ray McKinnon co-stars as Raymond in the movie. It’s not easy being a cop. Especially when you’re a VAMPIRE COP like Officer Lucas (Ed Cannon). But with the city in the grip of a psycho drug kingpin, it’s time to pull out all the stops and TAKE A BITE OUT OF CRIME! But now beautiful reporter Melanie Roberts ( Melissa Moore) is onto Lucas’ little secret. Will she expose him. . . or help him crack the biggest crime caper since Al Capone? Soon the streets are running red with stone dead hookers and bone dry mobsters -all with two little bites on their neck. Will Melanie be next? Or is Lucas ready to make the ultimate vampire’s sacrifice to save her. 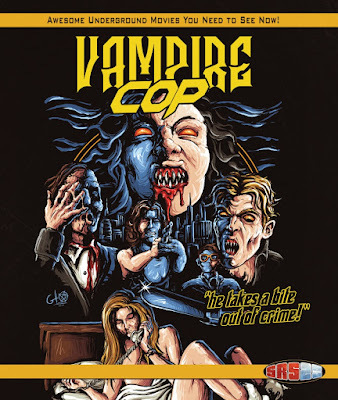 Here’s a quote from Joe Bob Brigg’s 1990 review of VAMPIRE COP. The limited edition Bluray (professionally run and silk screened BD-R by Discmakers) is limited to just 100 copies, while the VHS is set at just 30. The title is in stock and shipping now. Grab your copy while you still can (over half of each format is gone) while you still can.